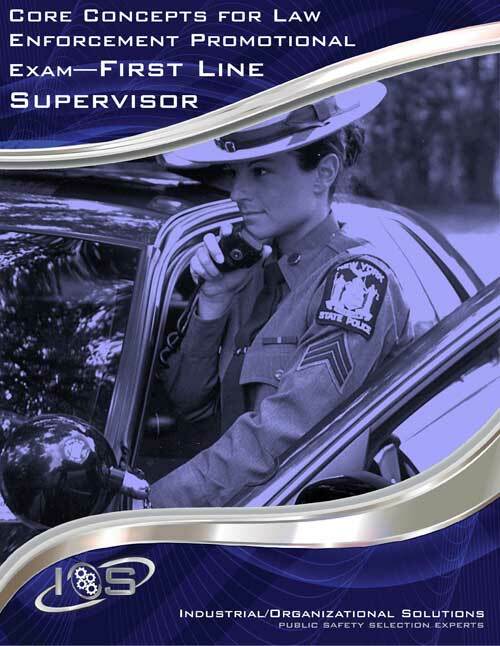 The Core Concepts First Line Supervisor Exam is a highly reliable exam that focuses on the knowledge and skills required for supervisory success in law enforcement. This exam measures critical knowledge areas required for successful performance. This exam was developed from data gathered through extensive study of law enforcement officer positions around the country. The Core Concept First Line Supervisor Exam produces results that will save time and resources by finding the right candidates the first time for promotional opportunities.